I received supplies for this post from Cricut and Plaid Crafts. I love these Ikea mugs. There's 5 of us in the family and I bought 5 mugs. I thought it would be fun to monogram them or something...then I decided etching everyone's spirit animal would be the best! I picked animals that everyone likes and they turned out great! Glass Etching is loads of fun and a permanent way to customize glass. However, it's super tricky to photograph, so please forgive me. 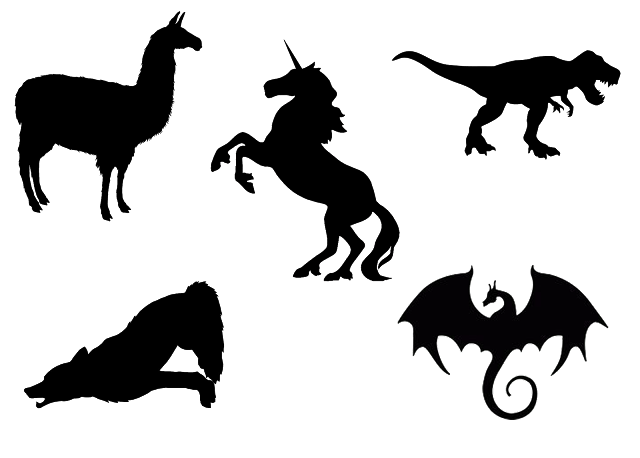 I picked these 5 animals: Llama, Unicorn, T-Rex, Dragon and Wolf. Right click to save off these silhouettes if you want. Personal use only. Then use your Cricut Explore Air™ 2 machine to cut the shapes out of vinyl. Weed out the inside (positive space) of each animal. You need a stencil. 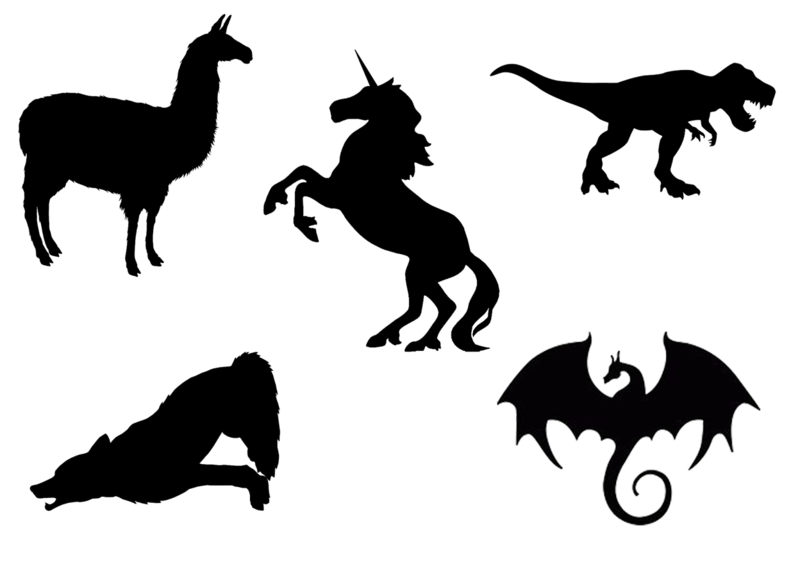 Put transfer tape on the top of the vinyl and cut each shape out individually, but leave as much space as possible around each animal. Peel off the backing and place the vinyl on the mug where you want it. Then gently peel off the transfer tape. Then use Martha Stewart Etching Cream. It's brown and thick. Use a paintbrush to fill the inside of the image evenly with the paste. It can show unevenness if not completely covered, so be very generous. This can be scraped back into the bottle and reused, so it is not wasteful. Let the mugs sit for 15 minutes. Then use a silicone spatula to remove most of the etching cream. It can be returned to the container to use again on another project. Then wash off the remaining cream with warm, soapy water. Peel off the vinyl and wash again. Then dry. Now they are ready to enjoy! I love how they turned out! My youngest son gets the wolf. And my daughter is the unicorn! Think of all the glass items you can customize like this! Etching names on Casserole dishes!